Bookseller Barnes & Noble is apparently willing to sell the New York Times #2 bestselling book DANGEROUS by MILO online but refuses to stock the book on its stores’ shelves. Advertisements for former Breitbart Senior Editor MILO’s new book DANGEROUS have been banned from Metro stations across Washington, DC. 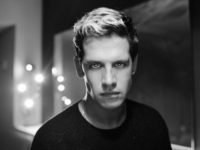 Former Breitbart Senior Editor Milo Yiannopoulos joined Breitbart News Editor-In-Chief Alex Marlow Wednesday on Breitbart News Daily on SiriusXM Patriot Channel 125 to discuss #CNNBlackmail, the publishing industry, free speech, and Milo’s new book Dangerous. The following excerpts of DANGEROUS by MILO Yiannopoulos come from Chapter 9: “Why Muslims Hate Me.” DANGEROUS by MILO is available for direct order or on Amazon. 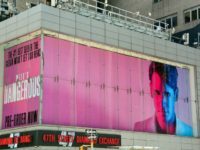 Former Breitbart Senior Editor MILO revealed a billboard for his book DANGEROUS just blocks from the offices of Simon & Schuster. 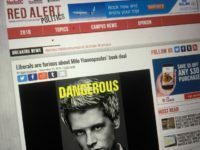 BuzzFeed criticized former Breitbart Senior Editor MILO’s new book Dangerous, calling it “awful” and complaining that it didn’t dish any dirt on Breitbart News after receiving a leaked early draft. 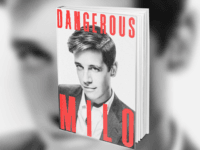 Dangerous, the book by former Breitbart Senior Editor Milo Yiannopoulos, was released for pre-order for the second time on Sunday, overtaking both Chelsea Clinton and Ben Sasse’s books and reaching number five on the Amazon best sellers list within a day. The release date for MILO’s upcoming book “DANGEROUS” has been moved to June to incorporate new material on the 2017 campus riots. 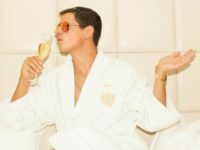 Veteran journalist and author Michael Wolff explained to critics of Breitbart Senior Editor MILO’s upcoming book Dangerous that “the publishing business is a business,” adding that the publisher were therefore inclined to publish his book considering the money to be made from it. English PEN have joined the growing list of groups that are defending Breitbart Senior Editor MILO’s book deal with Simon & Schuster. Several major literature and anti-censorship organizations have signed a statement defending publisher Simon and Schuster’s “right to publish” MILO’s upcoming book Dangerous, which has seen many others threaten to boycott the company. Reporters at NBC news are throwing around allegations of “white nationalism” in an increasingly reckless manner. 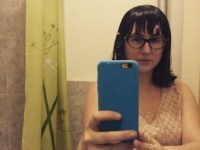 Adam Morgan, Editor in Chief of the Chicago Review of Books, published an article in The Guardian today where he called MILO’s new book “hate speech” and claimed that it would inspire the likes of Omar Mateen and Dylann Roof. 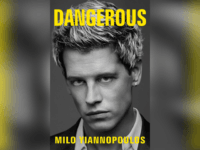 Breitbart Senior Editor MILO confirmed on Instagram Friday that he will also be the voice for his upcoming book Dangerous in the official audio version. 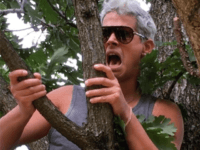 Red Alert Politics predicted today that Breitbart Senior Editor MILO’s upcoming Dangerous book will outsell Hillary Clinton’s Stronger Together, which sold less than 3,000 copies in its first week. 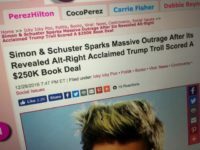 The Chicago Review of Books will not review any books published by Simon & Schuster in 2017 because the publisher gave Breitbart’s MILO a book deal. 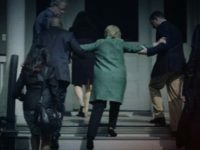 Donald Trump’s campaign released a new television ad to air nationally on Tuesday attacking Hillary Clinton’s foreign policy record, saying she isn’t strong enough to be president. A newly released “most dangerous” report of 68 California cities places recently terror-stricken San Bernardino at the top of the heap. 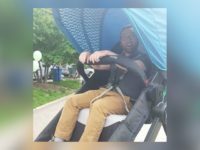 Now that Colorado has legalized marijuana, evidence is being offered that the marijuana on the market may be much more dangerous than had been presumed.